Sometimes you might find yourself not being able to access a particular website, and you may be wondering why. One reason for not being able to access the site is that the site may just be down – check out Down For Everyone Or Just Me to see if the site is down or not. Another reason for a website not working is that the website’s firewall may be preventing you from accessing it. 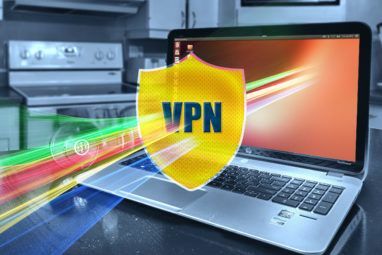 If you are unsure what a firewall is and how it works, have a read of Wikipedia’s explanation and if you’re looking for a firewall recommendation, have a look to see what the MakeUseOf readers use. 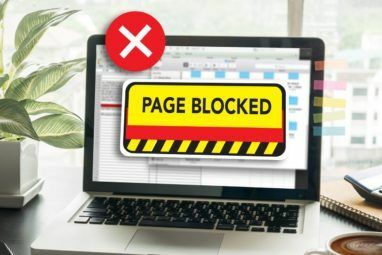 If “Down For Everyone Or Just Me” says the site is down for just you, and you have asked your friends if they can access the site, which they can, here are a few tips on how to unblock a web page from behind a firewall. After a certain amount of time (depending on the server’s configuration) the firewall may automatically unblock your IP address. This may take anywhere from one hour, to one week, or indefinitely. So if you are still waiting after a couple of days, continue reading this post as you might want to try another option. But seriously, who would want to wait one week for Facebook’s firewall to unblock you? So if a firewall is blocking you, you can use a proxy to see if you can access the website, because the firewall will most probably have blocked your IP address or an IP range. 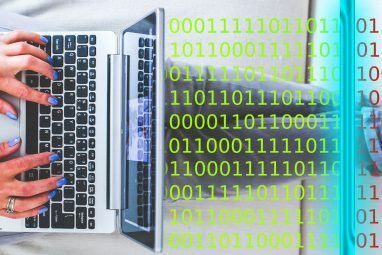 Have a read of my post How To Use a Fake IP Address & Mask Yourself Online How to Use a Fake IP Address and Mask Yourself Online How to Use a Fake IP Address and Mask Yourself Online Sometimes you need to hide your IP address. Here are some ways to mask your IP address and cloak yourself online for anonymity. Read More for some proxies that you can use. If you managed to access the site, or at least view some of the homepage, you can say that your IP address was most likely blocked. So to unblock yourself, you may want to try step three (but this won’t work for everyone). Restarting your modem will only work if you have a Dynamic IP address assigned by your Internet Service Provider (ISP). By restarting your modem, it will reconnect to your Internet connection and your ISP will assign you with a different IP address. So if the firewall has blocked your IP address, by getting a new one, you should be unblocked from the website – unless of course that IP address is blocked as well. I should not have to explain how to restart your modem, but turning it off for 10 seconds and back on should do the trick. If restarting your modem does not work, and you cannot access the site at all, you may want to use Google Cache. Google Cache is good for a site that does not get updated frequently, and you just want to view some information – for example doing some research. Google Cache is basically a backup of the site that Google has archived – so you won’t be able to access Facebook properly with it. To access a cached website, simple do a Google search with site:domainname.com, then click on the cache link. Another thing you may want to try is to get the IP address of the website, and enter that into your web browser. To get the IP address of a website, visit the site SelfSEO and enter the website URL. You will then get the IP address of the website. Enter that number into a web browser to see if it works. If you still can’t access a website, the problem may be at your end, so make sure your Internet is successfully connected and you can access other websites. But if you are positive that it is a firewall that is blocking you, the last resort is step 6. If all else fails, contact the website owner. You may be able to find contact information by doing a WhoIs Search on the domain and looking through the results for their contact details. If it is a company’s website, you may be able to do a search on their company name to find their contact details and then ask them why you cannot access their website. If you still can’t access the website, the following MUO articles may be able to help you out as well. Do you have any other tips on how to unblock a web page from behind a firewall? If so, share it with us in the comments. I'm having trouble with a website that's doing this, but none of this has worked so far. It seems to know when you're using a proxy, and blocks you out. There's something about the phone's ip I can temporarily change that lets me in, but as soon as I connect to our WiFi, it blocks me again. And even if I change the ip for the WiFi, it shuts of the Internet connection. Any idea what might be going on? These tips sounds great but I already choose an application named IP Privacy and I am more the satisfied with it. Thanks for the article, I will be testing this out @ my library, since they have to have such a good firewall. Hi Chris0089, let me know how you go then with these tips. It is always good to hear if these tips worked for someone. Thanks Albert - It's great that you like my name. :P It will be easy for you to remember me then. KallAngo - Google Translator is only good, like you said if you need to access the site that its a different language as it kind of acts like a proxy. It's just a pitty that you can't translate English to English, otherwise you could be able to access anything on the internet. Access google translator ans use it to translate the site you want to access to your own language.